Earth Angel became a hit for Frankie Avalon, but how he was far from the first to record the song. 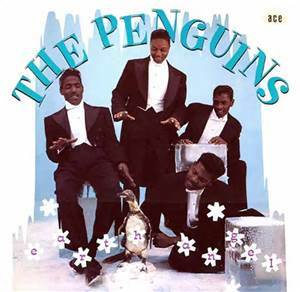 One of the more popular recordings is by The Penguins. Their version was one 50 recordings chosen by the Library of Congress to be added to the National Recording Registry. This was the only hit for The Penguins. Originally the song was credited to The Penguins’ baritone singer Curtis Williams. Other sources credit the start of the song with Jesse Belvin. The song then evolved with Williams and others. These sources report the influence of “Dream Girl” by Belvin’s, on the outcome of the final song. Clearly there were many outside sources on the piece that would eventually become Earth Angel. The first recording of the song appeared to be too convoluted and Williams simplified the music. According to Curtis Williams, “We thought it was his song, and we didn’t know until we went into court. We were served with papers saying that we were infringing on the owners of the song. We had to dig up the source of the song and we found out that Curtis didn’t write the song.” Or at least not most of it. Clearly “Earth Angel” was a pastiche of everything that was floating around Los Angeles. A judge awarded the credits to Jesse Belvin, Curtis Williams and Gaynell Hodge. Earth Angel became the second “Doo Wop” song to hit the Top 10 on the Pop Charts. Many other groups have recorded the song including The Crew-Cuts, The Vogues, and New Edition. Thesong has been featured in many movies, most popularly the high school prom in Back to the Future.